Here at St. David's church we have a number of activities and services for children and young people, and their families. This church-led friendly group welcomes families from its community. We meet each Thursday in term-time from 1.30pm to 3pm. We meet in the hall to enjoy play and fellowship. Parents and carers come wth their children, from birth to 5 years old. There are lots of toys for the children to play with in the safety of our hall and, in the summer, out on our spacious back lawn. Each week, there is an activity table for the children and one for the adults too. Our sessions also include snacks and drinks. A voluntary contribution of £1 per family helps us with celebrations and resources. Some of our families come early for lunch in the 4U Community Café. Each term, we produce a newsletter for parents and carers. For more information, please contact Jane Serbyn on 07896 981011. The Sunday School team invites you to join us during the 10am Sunday service. Early in the service, we go out to the church hall to continue our worship. 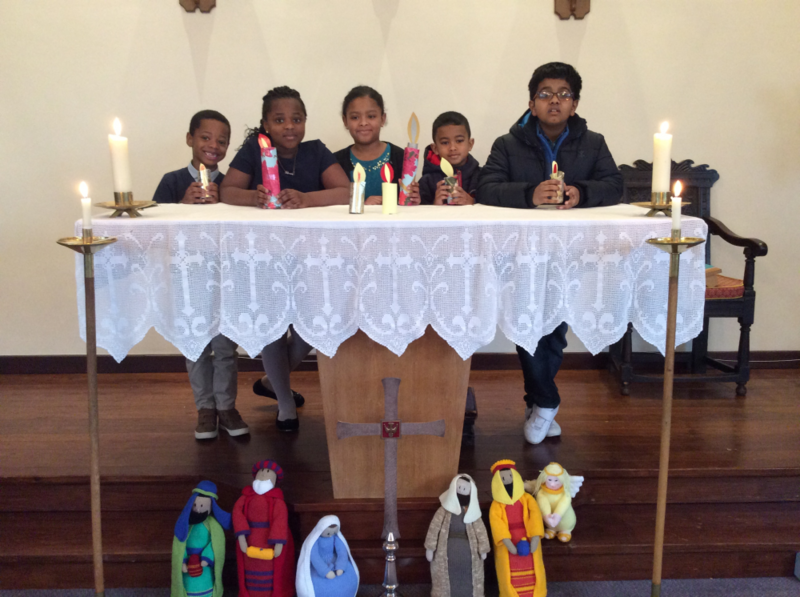 The young people hear about the 'Good News' of Jesus and enjoy activities related to the church's year. Come and have fun learning about the journey from the crib at Christmas to the Resurrection on Easter Day, to the giving of God's Holy Spirit at Pentecost to living out our faith in our ordinary, everyday lives. On the first Sunday of the month, families worship and learn together in our 10am All-Age Worship with Eucharist service. For details of our Sunday services, please see Services at St. David's. Our Sunday School club welcomes young people of all ages and includes a crèche for the very young. For more information, please contact Sarah-Jane Major on 07795 438430. The St. David's children's choir is a friendly group and we enjoy our singing. We do all sorts of music, from modern songs to well-known traditional hymns. We practise on Fridays from 6.30pm until 7.30pm, followed by a snack and some games until 8pm, and we sing in church on Sundays from 10am to 11am. There are fun social events too, and the children are paid some pocket money once a term for their attendance. For details of our team's youth group, Faith & Fun, for 10 to 17 year olds, please see What's On - Children and Youth. listening to them and asking questions.